FatHopes Energy technically began in Vinesh Sinha’s kitchen, when he would filter used cooking oil through an old t-shirt to make biofuel. He launched FatHopes Energy in 2010 after dropping out of school, that converts used oil of various purity levels into usable, standard biofuel quality. FatHopes Energy was bootstrapped, and persevered despite naysayers because to Vinesh, the unit economy always made sense. When he was still in school, Vinesh Sinha was given a diesel car by his father. And because he was a frugal youth, Vinesh would often peel his eyes for ways to cut his fuel costs. It was in this process that Vinesh would come across his goldmine. This came in the form of Jeremy Clarkson on Top Gear, who operated a diesel Mercedes Benz using straight waste vegetable oil. Vinesh saw that he did, and wanted to try it for himself. “It initially caused me issues, as the waste cooking oil that I topped up my car with was filled with food scraps which clogged the fuel lines,” said Vinesh. He eventually figured out the problem, and in a home kitchen, began heating the oil to remove water residue, then filtering through an old t-shirt to remove sediments. 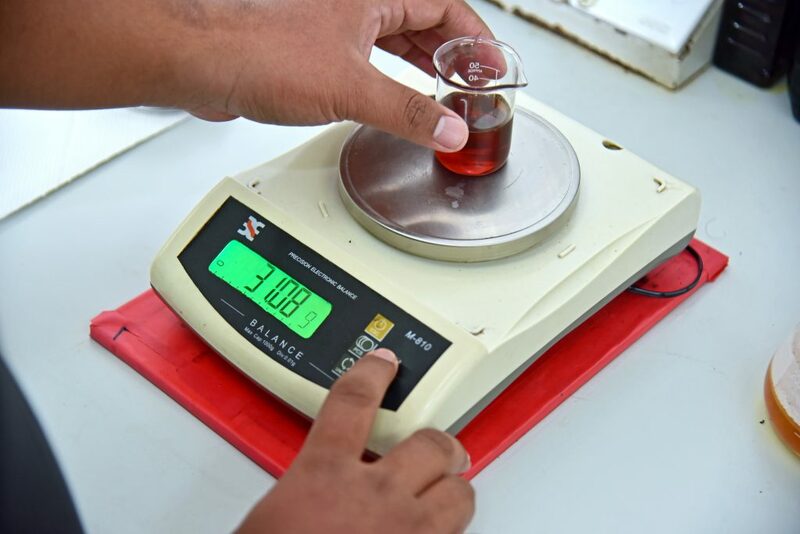 He would blend it with the conventional diesel on a 50:50 ratio to run his vehicle, and not only did he halve his fuel spending, Vinesh realised that his concoction meant that the engine oil took longer to degrade or become dirty, which significantly improved his servicing costs. 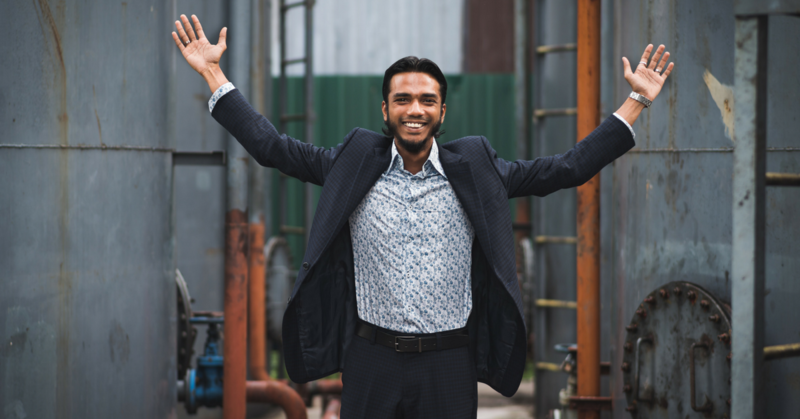 This discovery did not lead to much else at the time, but when Vinesh went to the UK to continue his studies, his eyes were suddenly open to the potential of biodiesel when he saw that they had petrol pumps for them. What surprised him more was when home-brewed biodiesel became taxable in the UK, which proved that enough people were doing this there that the government has decided to tax them on it. 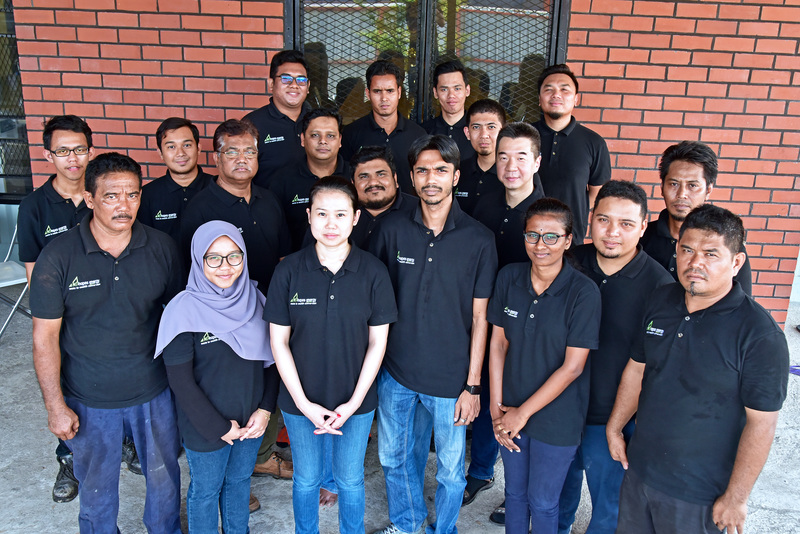 Vinesh considered this as an opportunity for the Malaysian market, and began volunteering with waste-oil biodiesel production companies to learn more. However, he had been skipping classes to do this. Push came to shove, and Vinesh eventually decided to quit university at 18 to focus on biodiesel. He eventually christened this business FatHopes Energy, because they have a hope of producing energy from fats, and because in its early days, many naysayers sarcastically told Vinesh that his vision was just fat hopes. Established in 2010, FatHopes Energy develops sustainable fats, oils and grease for advanced biofuel production. By 2017, FatHopes Energy has been able to ethically utilise in excess of 150,550,000 kilogrammes of waste vegetable oil, consisting of waste cooking oils, among others. 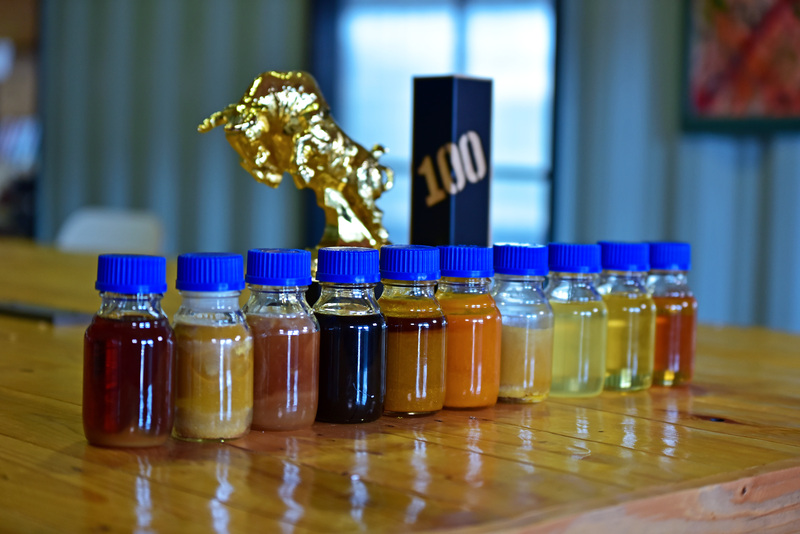 Their proprietary system allows them to produce a steady output quality of biofuels despite the quality they arrive in. According to Vinesh they’re also the only organisation in the region that can convert a large variety of feedstocks into biofuels. Their efforts have also landed Vinesh a spot in 2018’s Forbes 30 Under 30. He chose to see his lack of experience as a blessing, and it helped them to think differently throughout their journey doing FatHopes Energy. In FatHopes Energy’s early days, many disagreed with his choice in life, but Vinesh carried on. “At every juncture of this business I persevered mainly due to the fact that the unit economics always made sense, especially from day one,” said Vinesh. Vinesh bootstrapped the business, because to him, “results for effort is always valued far higher than equity or investment”. This also allowed them to be more thoughtful about their investors, as FatHopes Energy chooses partnerships instead. Of course, this tends to take longer, and FatHopes Energy may change this as the organisation grows. FatHopes Energy has cemented a 70% market share in Malaysia and Singapore for some of the materials in isolation, like used cooking oil. So the question is, how would they convince Malaysians to switch to biodiesel instead of normal diesel? 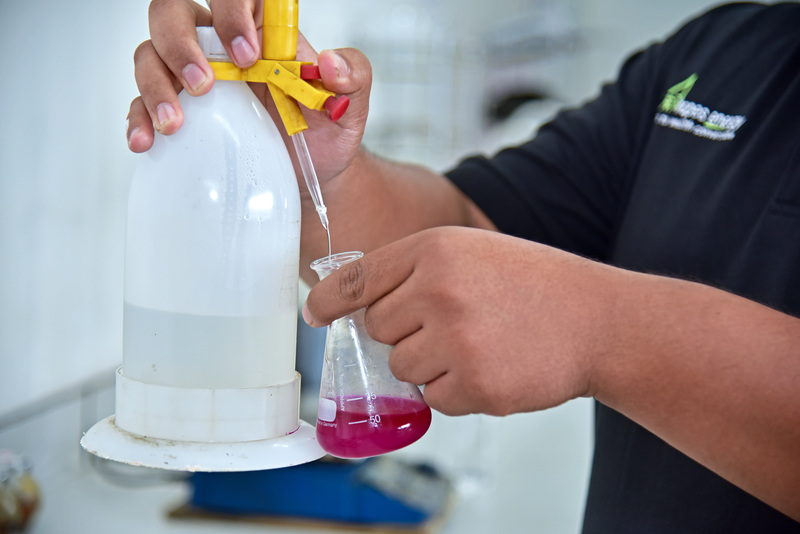 Instead, they educate Malaysians about disposing waste vegetable oils with Fathopes Energy. According to him, many Malaysians are unaware that most of the vegetable oils in Malaysia finds its way back into our food streams. Vinesh also stands by being transparent and accountable about what happens to the waste oil after they are collected, which differentiates them from their waste oil competitors. After cementing their 70% market share, Vinesh considers this the main driving force for them to venture into other countries. Their ambition is to triple their capacity, by expanding into all other SEA countries by 2020. Green campaigns often speak about saving the planet, but Vinesh thinks that the planet will still be here long after we’re gone. What we do need to save is the human race itself, which is driving itself to extinction due to greed. This is the force that drives him to this day, and will continue to do so as FatHopes Energy continues to grow. You can find out more about FatHopes Energy and what they do on their website here.